• If you want to open a bank account, the concerned person will ask you about having your aadhar card as one of the essential ID cards today. • Similarly, on availing a new phone number, you will be asked to provide the same, where you may have to give the 12 digit number. • Likewise, on applying for ITR, you know that you will be requiring it as well. 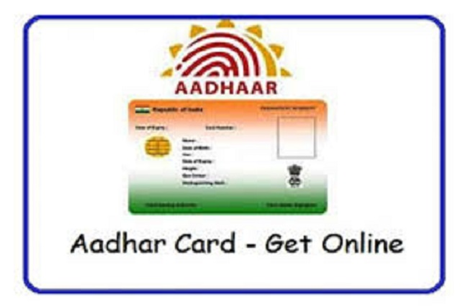 There are so many essential things which may be relating with your daily necessities, where you require the Aadhar card. Hence, if you have applied for the Aadhar card, but haven’t received as yet then don’t worry. Through the following post, you can download with ease and within minutes. “The slip” which you have used to apply for the Aadhar card as there you can see “Enrollment number” and the “Date” as well as “Time” mentioned in the slip. Step 1: Now, in the first step, you need to visit the official website of UIDAI. Step 2: Go the section which is titled “Aadhar Online Services” As you check on the menu options you will see “Download Aadhar” Click and you will need to enter the required details. Step 3: Now, the next step entails you to enter the OTP. Don’t worry, if you don’t have the same. Since, there is another option where you need to enter “Request OTP”. So, once you click, you will receive OTP, which you can use. Step 4: In the last step, You will get a screen to open the e-Aadhar PDF file. You will see that you need a password for the same. Well, this is how you are just able to download the Aadhar card without any hiccups or problems. Isn’t it easy? You can even check Aadhar card download guide for more clarity so that you can ease yourself further. Unlike the perception of people, downloading Aadhar is easier and one can even do with limited knowledge of computer. Yes, even if you have basic information, you can easily download for yourself at home, provided that you have a printer. So, even if you have lost your card, you can download the same, through this method as well. This is an age where we possibly can’t think of availing services, without providing Aadhar card. Now, you can download whenever you want. It feels great to be possessing Aadhar card and doing the duty of a responsible citizen as well. While in the process you know, you don’t have to face issues too.